Android Auto finally integrates the mapping software you’re already using. Google Maps has become the de facto way to get from point A to point B. But for commuters and Uber/Lyft drivers, Waze -- with Google's transit information overlaid and crowdsourced data -- has become invaluable. The only problem is that while Google Maps is part of Android Auto, Waze still requires you to stick your phone to your dash/windshield. That is, until now. 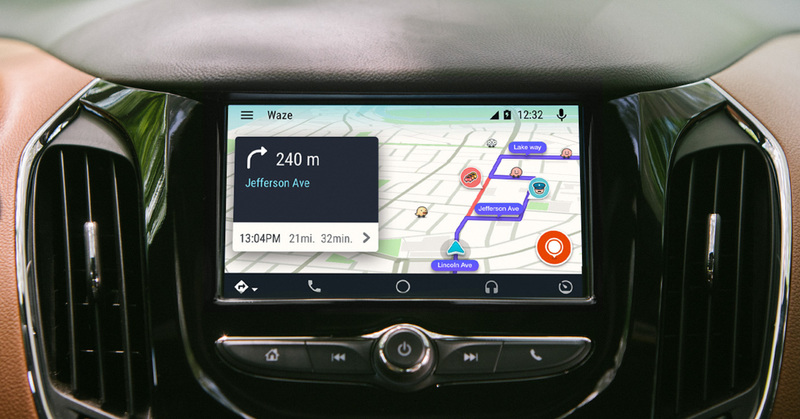 Waze is finally where it should have been years ago: part of Android Auto. An update to Android brings the road warrior's favorite to Google's in-car system, opening it up to any vehicle that supports the bring-your-own-infotainment solution. Ahead of today's launch we got a chance to drive around in a Chevy Cruze with a beta version of Waze on Android Auto, and even with a few bugs, frankly, it's already better than the smartphone version. 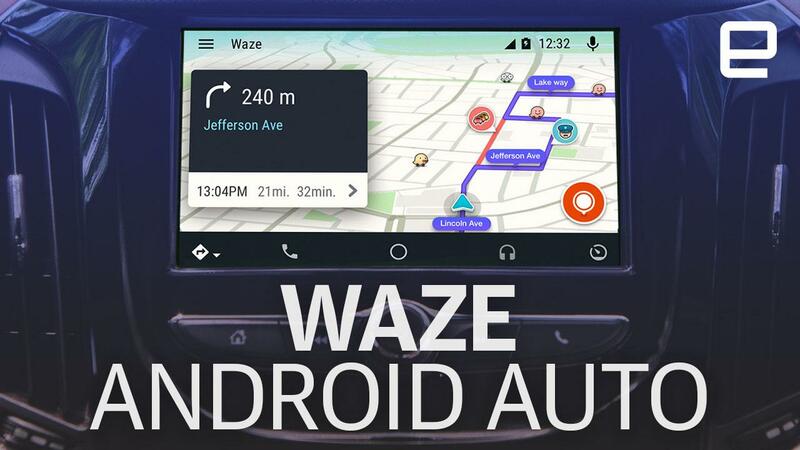 At first glance, the Android Auto version of Waze is less cluttered. This is, in part, thanks to pressure from automakers and regulators. The important elements are still there: the ability to share information about traffic, police presence, crashes, hazards in the road and issues with the maps themselves. But what's (thankfully) missing is the most irritating part about Waze: the ads. In the smartphone app, when you come to a complete stop, an ad for KFC or McDonald's usually pops up (for me; your ad targeting may vary). I never eat at KFC or the home of Ronald McDonald, yet there they are while I'm waiting for the light to turn green. On Android Auto, those are gone. You will, however, see locations for "partners" along your route. In addition to fast-food restaurants, you'll see service stations. Which is helpful, because most of us still need gas and beef jerky. The app's navigation layout is clear and concise. Upcoming changes to your route are displayed left of the map. You can tap on those directions to access a menu with options to end or take an alternative route. Both can be accomplished with two taps to reduce distraction. The Android edition does support voice commands you find in the standard app for navigating to destinations. Unfortunately, we encountered a bug with our build of the app, and it wasn't working. Typing in addresses and locations is obviously also available but only when the car is stopped -- another one of the changes to appease automakers and regulators and make driving safer. In addition to changes meant to remove distractions, a few of the features found in the smartphone app are also missing on Android Auto. The social aspects like carpooling, beeping at other Waze users, gas prices and map chat are gone. Also, there are no speedometer or voice commands for adding hazards to a route. Waze says these aren't included yet, so there's a good chance they will show up in future updates. With the exception of gas prices and using your voice to add hazards to a route, I don't see the need for the rest. This version of Waze is cleaner and easier to navigate and for drivers — that's a win. Social aspects are nice on your computer, but behind the wheel, the only information I want from other drivers is traffic info. That's what sets Waze apart from the competition, and it does that remarkably well. Even if sometimes its directions fall short of a driver's knowledge of a city and its traffic patterns. Unfortunately, this is an Android-only release. Don't expect Waze to show up on CarPlay anytime soon. 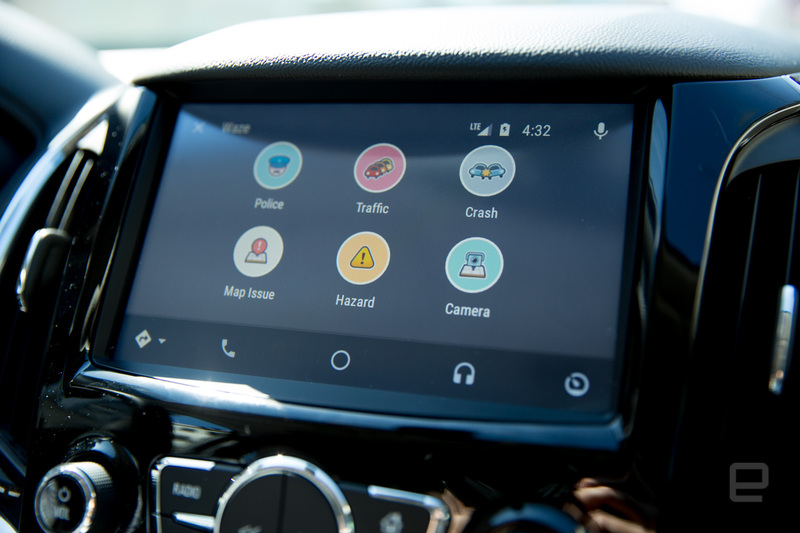 Waze would like to be on the dashes of all smartphone-compatible cars, but Apple still limits third-party apps on its vehicle-infotainment system to audio and messaging. But if the iPhone maker changes that policy, you can expect Waze to begin porting its app. In the meantime, Android users will be able to enjoy a better Waze experience in their dashboard.